It is our pleasure to welcome you to the Representation Offices of the Self-Administration of North and East Syria in Europe. We represent the Self-Administration in North and East Syria, the structural body which governs the region of north and east Syria. The Self-Administration is made up of multiple coalitions, parties, and organizations, with representation of every component of society. 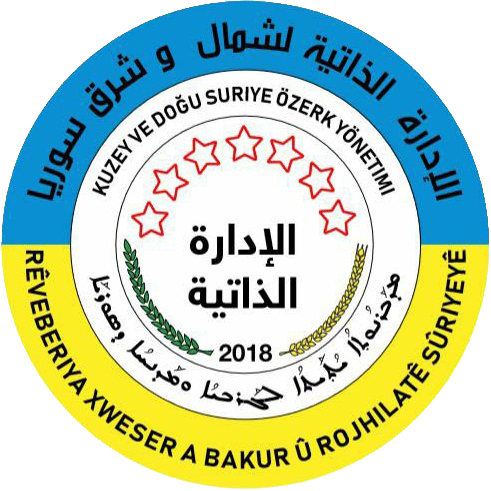 It is dedicated to the promotion and protection of rights for all residents of north and east Syria, regardless of gender, religion, ethnicity, national origin, or race. North and east Syria, is a diverse region, with peoples of all backgrounds, including Kurds, Arabs, Syriacs-Assyrians, Armenians, and more. The Self-Administration undertakes as its highest duty the equal representation of each and every one of these groups. The Self-Administration in North and East Syria was founded on the ideals of democratic confederalism, which holds at its core the pillars of gender equality, self-defense, cultural and ethno-religious pluralism, and sustainable ecology. Through a system of communes and councils that operate from the ground up at every level of society, the Self-Administration forms the top tier of North and East Syria’s direct democracy. We believe in social equality, justice, and the freedom of belief; and the work of our Representations in Europe is an extension of these beliefs and practices. We support members of our community living abroad, and advocate for the rights of oppressed peoples within Syria as we strive for a democratic solution to the Syrian conflict that includes the recognition of cultural, national, and political rights of all components. Our diplomatic missions aim to create meaningful and sustainable connections and relationships for a foundation of positive progress and a future of friendship.